Ghastly dialogue aside, the film tried its hardest to be faithful to the true Titanic story. Throughout there are numerous references to real anecdotes, as told by the survivors. However, the spooning scene is not based on fact. In real life, the old couple involved actually chose a far more puzzling way to die. The couple’s wealth and age virtually assured them of a place in a lifeboat. However, Isidor did not feel he should take up the place of another passenger. ‘I will not go before the other men,’ he declared. ‘We have been living together for many years. It was impossible to argue with them. Their bond was unbreakable. Whenever they spent time apart they would write to one another every day. They celebrated their birthdays on the same day, even though there were months between their birth-dates. They were like loved-up sixth-formers, only with more hair in their ears. They caused on-looking romantics to hear golden harps being plucked by angels. Whilst less romantic souls searched for the nearest hole in which to vomit. After making it clear that they intended to stay on-board the Titanic for as long as possible, Isidor and Ida did something breathtaking. They did not, as depicted in the film, go back to their room and lay on the bed. They did not even try and find a part of the ship they found more comforting (like the millionaire Benjamin Guggenheim, who famously ‘dressed in his best’ and dashed to the nearest bar). Instead, they stayed outside and sat on deck-chairs. Whether or not they stayed on the deck-chairs until the bitter end is unknown. But it is where they were last seen. It has recently been suggested that the angle that the Titanic protruded out of the water reached no higher than 23 degrees before sliding under. If this is true, then it is not a scientific impossibility that the couple could have stayed in the chairs for all of the sinking. 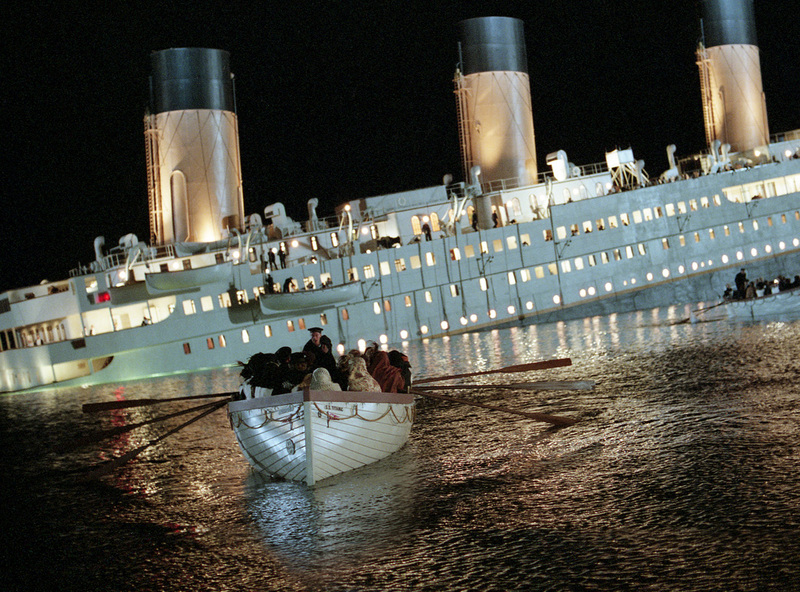 If the chilling 90-degree Hollywood version of the sinking is true, however, then one must imagine their stubbornness to leave the ship would have been tested sorely. Primarily by gravity. Either way, it is quite some manner in which to shuffle off this mortal coil. As Isidor and Ida were among the elite passengers on-board, they acquired quasi-celebrity status by default. Although they never courted fame. In a world before radio, television and popular cinema, newspapers filled their columns with stories of millionaires. The life of the movie character Rose, were she real, might have been as well known to the public of 1912 as Kate Winslet is to us today. 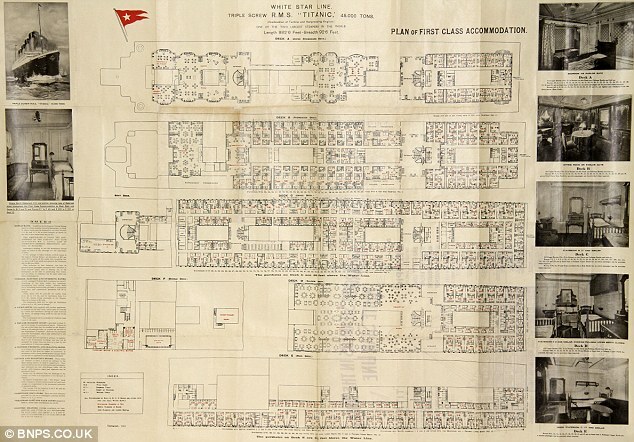 The actions of the majority of First Class passengers during the sinking of the Titanic (who had a survival rate of 62% compared to a Third Class survival rate of 25%) possibly played some part in the shift away from a public interest in the elite. As the weeks rolled by after the event, sickening accounts of bad taste surfaced. It was reported that Lady Cosmo Duff Gordon, upon seeing the ship finally go under, leant across to her secretary and said, ‘There is your beautiful nightdress gone.’ She had said it from the safety of a lifeboat built for 40. With 12 people inside. J. Bruce Ismay, President of the White Star Line, who would have been expected to stay on the ship until the very end, infamously jumped into one of the lifeboats he was helping to load. (It is a scene managed brilliantly in Cameron’s film.) Ismay’s reasoning was that there was nobody else around to take up the spare place. This was true. However, his own deep sense of guilt and the (eventual) wrath of the press towards him, led to him leaving his role as White Star Line President and becoming a recluse. It is said that he turned his face away as the stern of his ship descended. It was the Titanic’s rapid descent in her final 15 minutes that caught so many passengers off-guard. Its slow listing had not even been noticeable to some. It had created false security. Once the water had broken into enough watertight compartments, it sent the ship’s microcosmic world into pandemonium. Furniture and plates that had been slowly creeping and sliding were now being sent from one side of the room to the other. Those who had dressed in their best were clinging to the bar. 1500 panic-driven passengers began forcing their way onto the crammed deck. Somewhere amongst the pushing and the screaming sat Isidor and Ida. Their devotion to one another may have given the impression that they were a couple of young lovers from Dawson’s Creek, the reality, God bless them, was that they were in their mid-60s. You would not have fancied their chances. Ida Straus’ body was never recovered from the water. She is still out at sea. Isidor was found and subsequently buried in New York State. His wife’s defiant cry of ‘Where you go, I go’ met a merciless objector in the Atlantic Ocean. Their bodies are now eternally apart. Next articleHow well would you do in your History SAT?